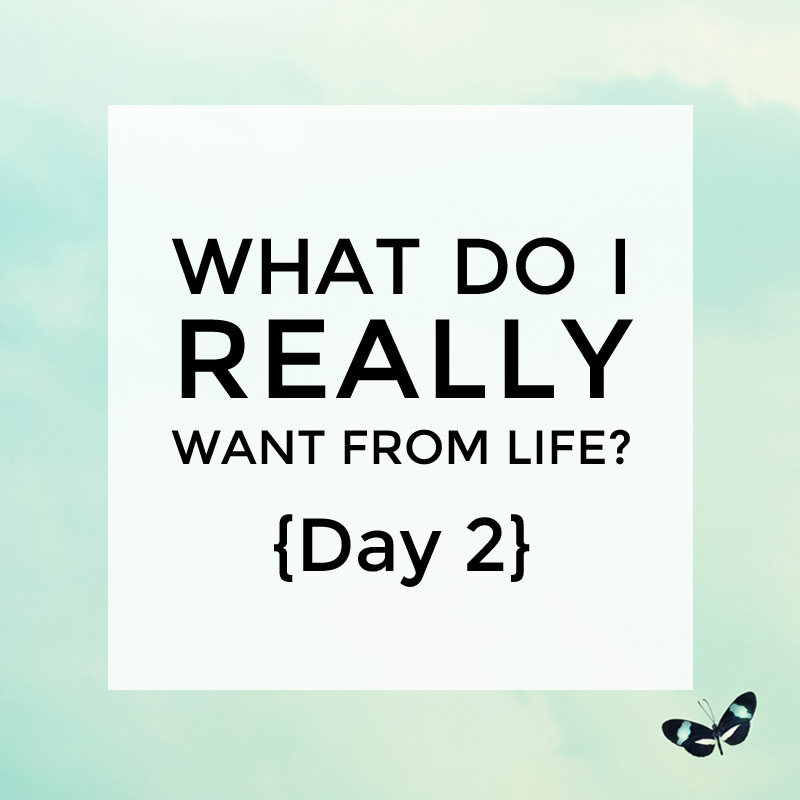 Hello there and welcome to Day 2 of ‘What do I really want from life?’. Today we’re going to start answering the question: ‘who am I?’. I say ‘start’ because this is a MASSIVE question. Yet it’s one we don’t ever really stop to ask ourselves. It’s important, however, because how we view ourselves, who we think we are, shapes who we are. And if you’re feeling a bit lost, who you think you are might be being shaped by other people’s agendas and thoughts, not your own. When you’re answering the questions below, before you actually write your answer down, just check: is this MY answer … or is it what other people are telling me? Try and answer from your own point of view, not that of the other people in your life (they’ll get their say tomorrow!). What are the three qualities you most admire in yourself? What three qualities do you possess that you know other people admire in you? What’s something you’re really good at that you seldom get credit for? What one thing is guaranteed to lift your mood? What one thing is guaranteed to kill your mood? What’s one thing you’re guaranteed to get really fired up about? What’s something hardly anyone knows about you, but you wish they did? If each day in your life had a 25th hour and you HAD to spend that 25th hour doing something that makes your heart sing … what would you spend that hour on? When you’ve answered all these questions take a step back from them and consider the picture you’ve just built of ‘Who am I?’. Is the world seeing that person? If not … why not? As with yesterday you can download a worksheet with the above questions here. That worksheet also includes my own answers to the above. If you’d like to share your answers to the above, or ask me some questions about the above, you can ask to join the private A Life Less Frantic Facebook group here.